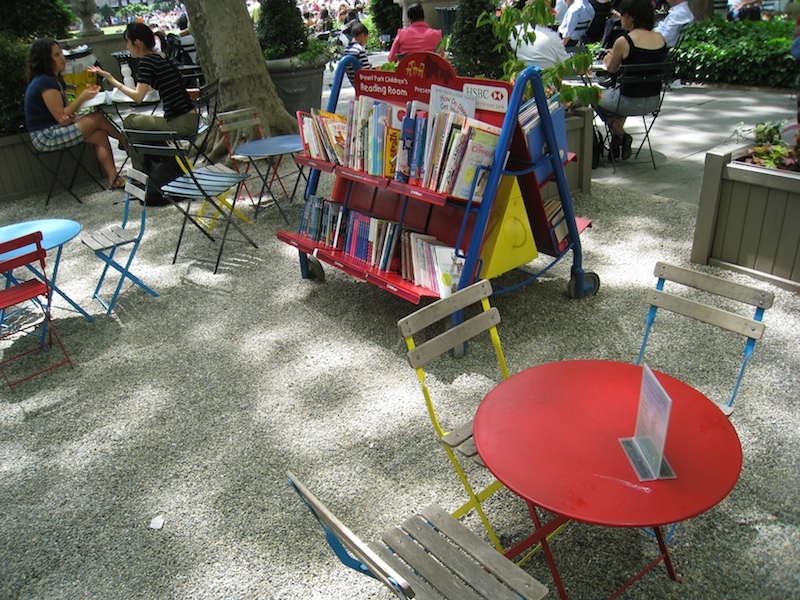 Boston Street Lab toured the open-air Reading Room at Bryant Park in midtown Manhattan and met with Paul Romero, Project Director. 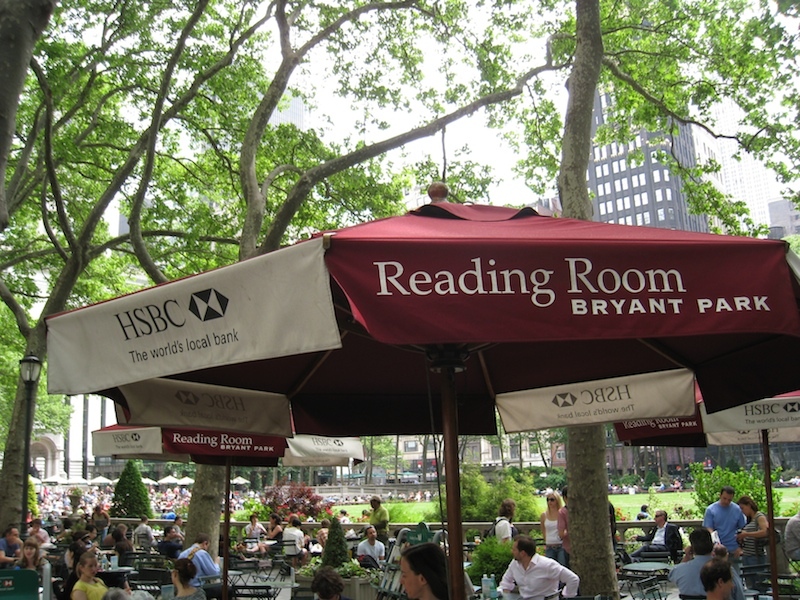 The original Reading Room began in 1935 as a public response to job losses in New York, and it ran until the start of WWII. 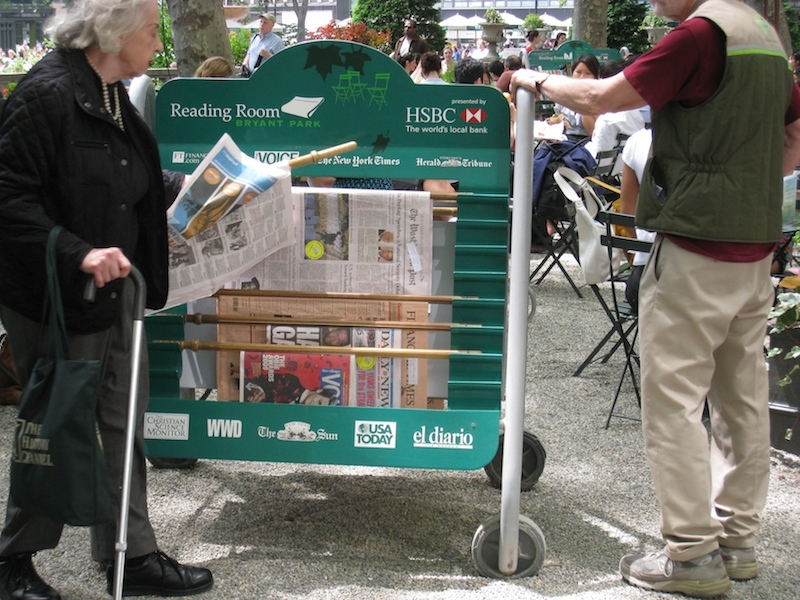 The current Reading Room draws on that precedent by offering carts with periodicals and books, which can be used by visitors without charge. 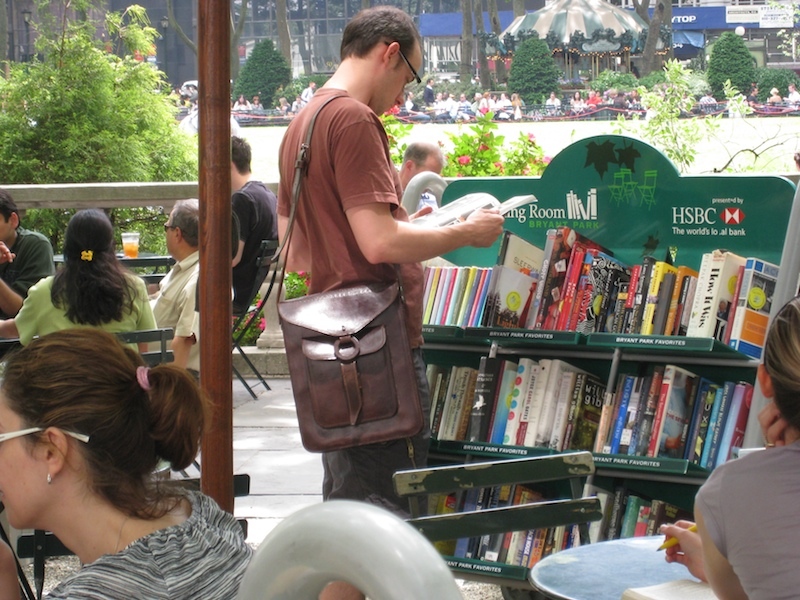 Since 2004, the Reading Room has also offered a robust program of readings at lunch-time, after work, and for kids. 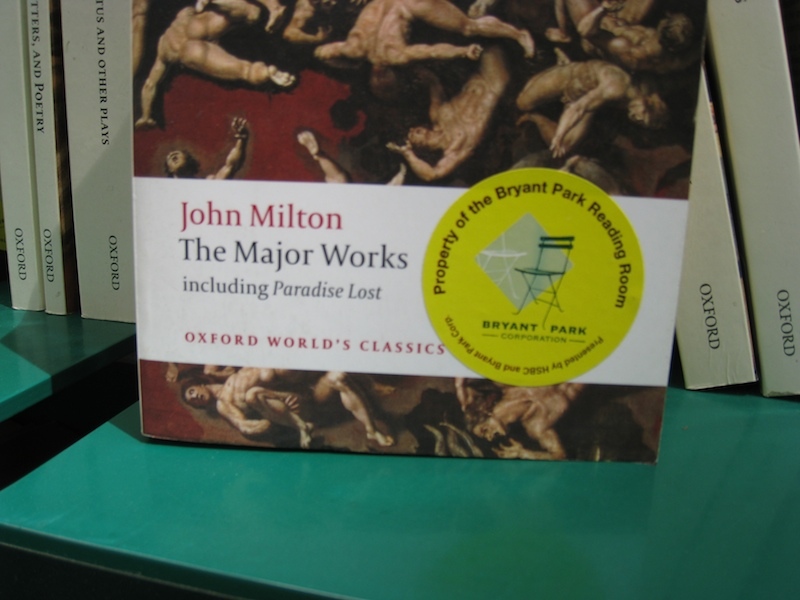 Books are donated by publishers. 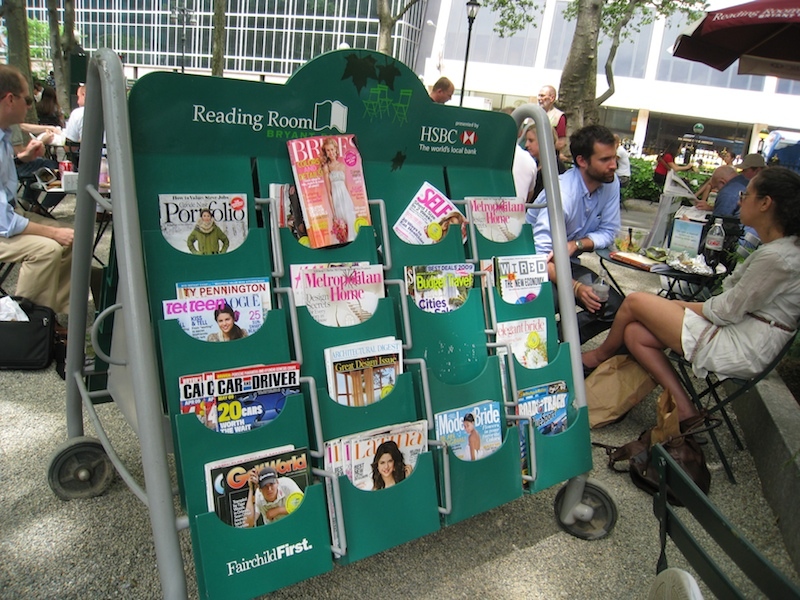 Periodicals are donated by a newspaper delivery service. 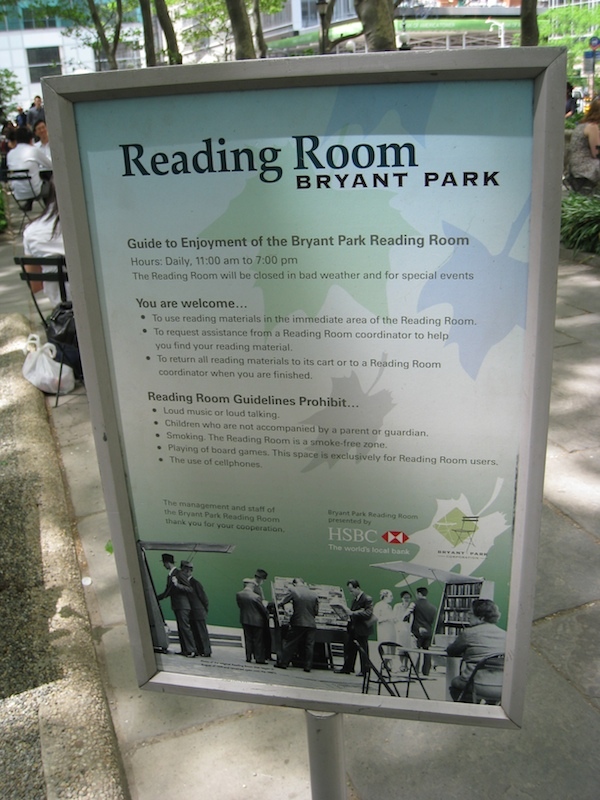 The Reading Room is staffed, and stickers on the books help prevent materials from “walking.” Patrons enjoy free WIFI which is an amenity of Bryant Park generally. The program is overseen by three managers (two focused on programming, one on operations). An additional staff person is on-site from 11 a.m. – 7 p.m. Carts are covered and locked after hours, and newspapers re-stocked each morning. 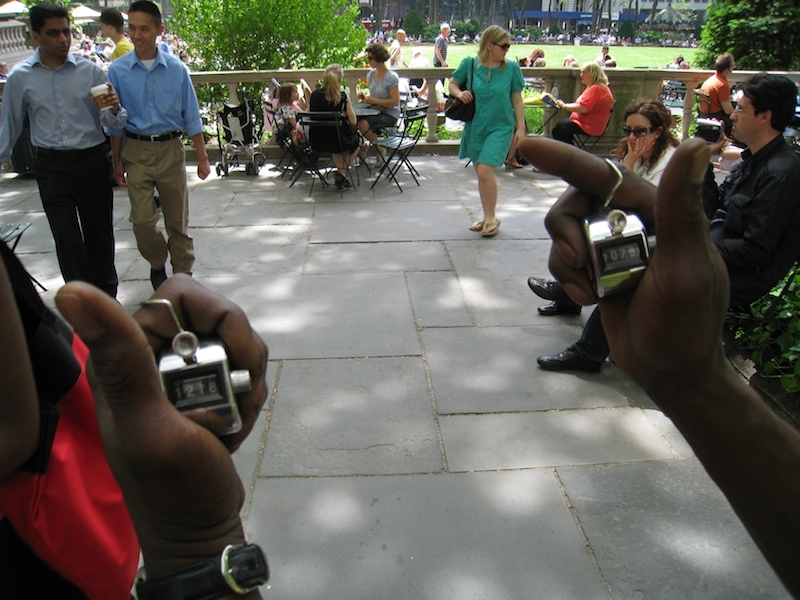 Most authors who participate in readings do not take an honorarium. 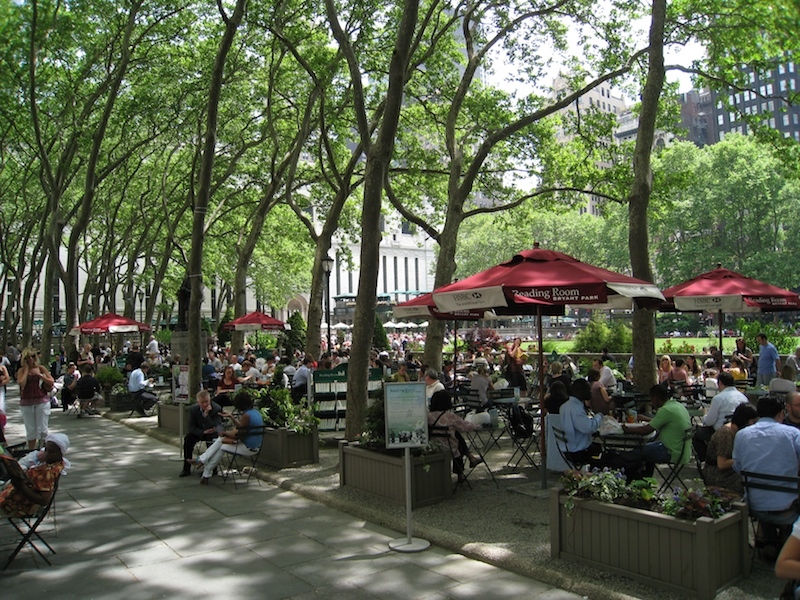 Although the Bryant Park is directly adjacent to the Mid-Manhattan Branch of the New York Public Library (NYPL), the Reading Room is not affiliated with the NYPL. We’re looking closely at the operation of The Reading Room. 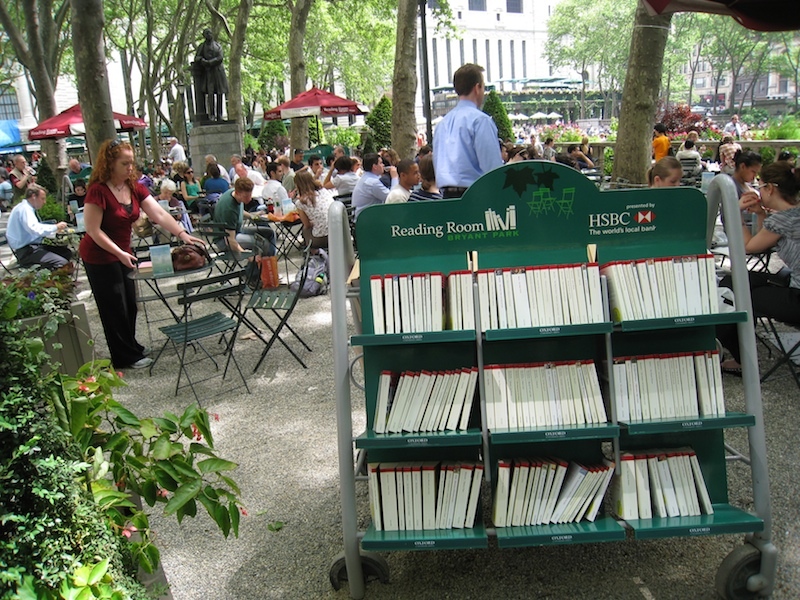 Despite being open-air, the Reading Room is quite similar, operationally, to the Storefront Library. 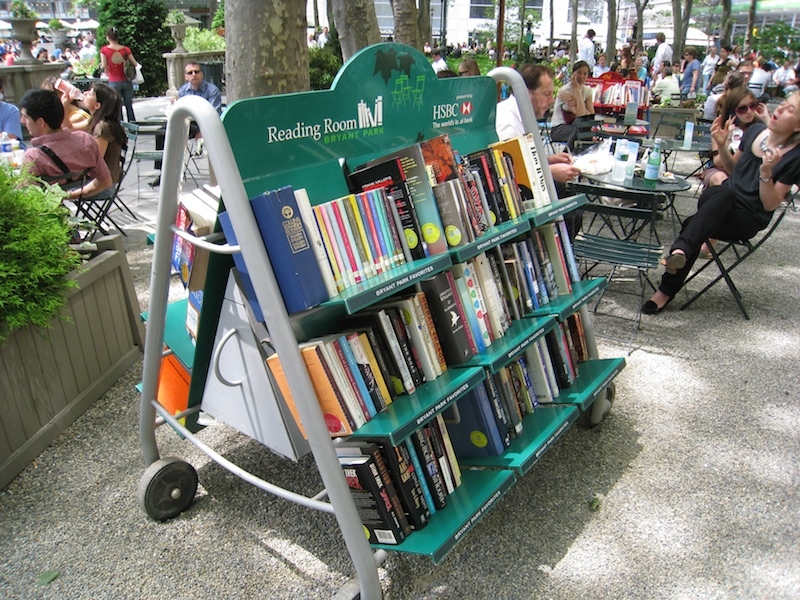 Thanks to Reading Room staff for sharing their experience with us.